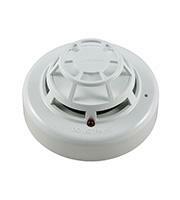 When you need alarms that can quickly detect the outbreak of fire, you need sounder base alarms from Fyreye. You'll find a selection of Fyreye products available in the array of fire safety products online at Direct Trade Supplies. These innovative optical detectors blend noise with flashing lights to grab attention quickly, ideal for use anywhere from schools to care homes, hospitals, retail establishments and anywhere in between. In the event of a fire, early detection is critical to mitigate the damage and save lives. Selectable tones give you the option of choosing something that will stand out and not be confused with any other systems that may already be installed, giving you the option to customise your fire safety plans with Fryeye alarms. Save on Fyreye products when you shop online with Direct Trade Supplies. Not only do we stock the best selection of fire and safety products, we do so at low wholesale prices, allowing you to get what you need to kit out your property with first-rate products for less. If you're placing a large order, get in touch with our team to find out about the additional discounts we offer when you buy in bulk. We also provide exceptional customer care, and are more than happy to answer questions or provide buying advice if you are unsure which Fyreye product is best suited to your needs. Shop for Fyreye products and save on the shipping costs when you spend £50 or more at Direct Trade Supplies. To find out more, contact us today on 01752 261211.